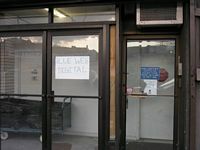 "Is Your Store Front Door Sagging, Rubbing or Just Not Locking?" 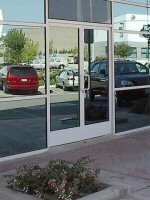 AS&L offers a full range of Commercial Door Repair Services for you! Are you having problems with your door sagging on one side, rubbing the frame or header, not closing like it should? We can repair all of the above problems and more.. Don't let other companies try to sell you new door units when it is not necessary. 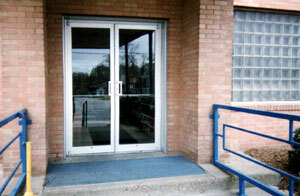 We can repair or replace parts that are needed for a 1/3 of the cost of a new door unit. Listed below are a few items we repair or replace. Call us today ... We can fix that !